Consistent with the requirements of Article 46A of the Town of Wellesley Bylaws (Neighborhood Conservation Districts), a group of Standish Road neighborhood property owners submitted a petition to the Wellesley Historical Commission, as required by Article 46A of the Town Bylaws, to initiate the designation of the proposed “Standish Road Neighborhood Conservation District.” As required by Article 46A, based on the petition, the Historical Commission appointed a Study Committee to investigate and prepare a report on the appropriateness of such a designation for the area. On August 28, 2015, the Study Committee submitted its final report to the Historical Commission. Article 46A requires the Historical Commission to hold a joint public hearing with the Planning Board to review the report, hear public comment, and determine whether to propose the NCD to Town Meeting. As soon as this hearing is scheduled, the details will be posted on the Planning Department’s website linked below, as well as on this page. The final decision on whether to approve any NCD requires a majority Town Meeting vote. 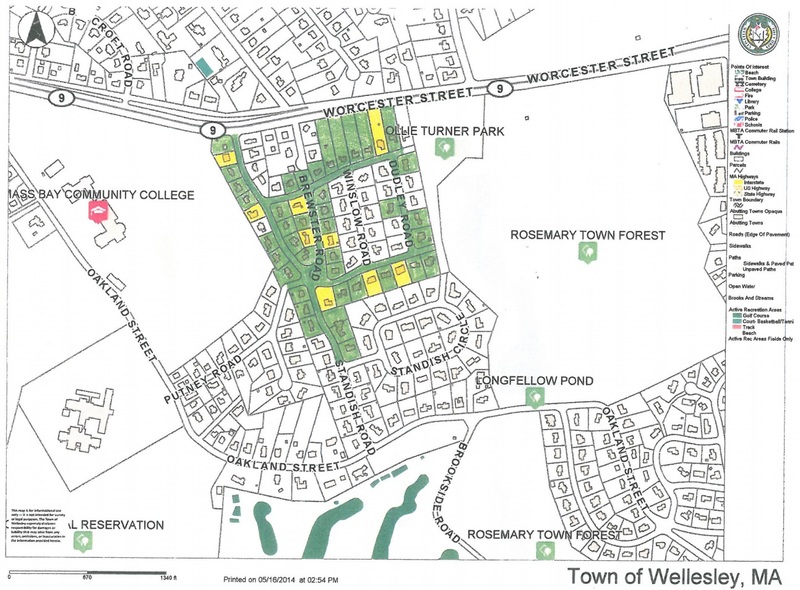 For the latest information, documents, and status of the petition, please visit the Town of Wellesley Planning Department’s page dedicated to this petition.